사용 가능한 이메일 ��소 입니다. Hope Vale Aboriginal community lies 40 kilometres north of Cooktown. Originally established as a Moravian Lutheran Mission on the east coast near Cape Bedford, the community was later moved to its present location. 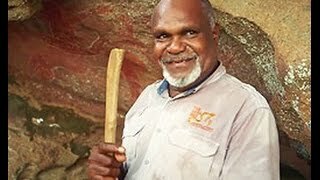 Go on a tour with a highly-acclaimed Aboriginal guide who can show you rock art sites and other locations on the Deed of Grant in Trust land. What's to see - the arts and craft centre is worth a visit and a private beach house accesses a coloured sands beach. You'll need a Council permit to camp and make arrangements in advance with the beach house. Useful stores include a couple of general outlets, hardware, a butcher and petrol station - but you will need to pay cash here. Hope Vale is easily accessed from Cooktown on a good dirt road off the Battle Camp Road between Cooktown and Laura. Hope Vale has an Alcohol Management Plan (AMP). AMPs aim to reduce alcohol-related violence. AMPs vary from community to community. They include alcohol restrictions, home brew bans and dry place declarations which operate within a defined boundary, known as a 'restricted area'. These strategies set the quantity and type of alcohol you may possess in the restricted area. Penalties apply for possessing or attempting to bring illegal alcohol into a restricted area. To find out more about AMPs for each community, visit the Department of Aboriginal and Torres Strait Islander and Multicultural Affairs web site.